A screenshot from this week's Futures Lab Update video. This story first appeared on RJI’s Futures Lab. Reporting by Sarah Sabatke. 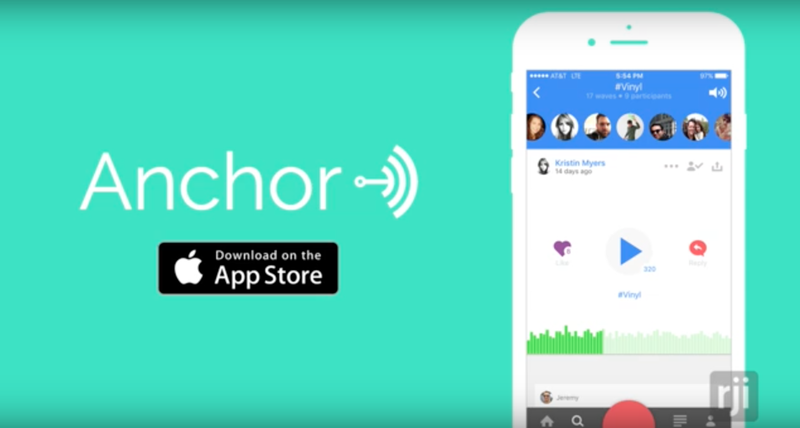 Anchor is an iOS app that allows users to interact and engage through audio recordings. These audio conversations can viewed in the app itself, or they can be shared on social media or exported to include in other broadcasts. Anchor is a free app available for iOS devices in the App Store. The playlist of black protest music, which WNYC reporter Arun Venugopal compiled with the help of feedback from Anchor, is on Spotify. The playlist was created as part of a story for WNYC series Micropolis. Rachel Wise is an editor at the Futures Lab at the Reynolds Journalism Institute and co-producer of the weekly Futures Lab video update. The Reynolds Journalism Institute’s Futures Lab video update features a roundup of fresh ideas, techniques and developments to help spark innovation and change in newsrooms across all media platforms. Visit the RJI website for the full archive of Futures Lab videos, or download the receive email notification of each new episode.